WOOD RIVER -- Alice Elsie “Sally” Dubbs, 100 years and five days, passed away Nov. 16, 2013, at the Good Samaritan Center in Wood River. Visitation will be 5-6:30 p.m. at the Apfel Funeral Home chapel in Wood River. A memorial service will be at 11 a.m. the First Presbyterian Church of Wood River following a 10 a.m. interment at the Wood River Cemetery. She was born Nov. 11, 1913, at Wood River, to Paul and Margaret (Allen) Quisenberry. She grew up on a farm in the Schauppsville community between Wood River and Alda, attending country school and graduating from Wood River High School in 1930. She took Normal Training and then taught in the Wood River area. She was united in marriage to Carl Brittin, December 23, 1934. Carl died July 7, 1949. While raising her two daughters, Darlene and Jeanette, she worked in doctors’ offices for Dr. Ervin King and later for Dr. C.E. Wiltse. With no prior training she performed various nursing duties, such as giving shots, taking blood counts and X-rays, and assisting in medical procedures along with the receptionist and bookkeeping duties. After the doctor’s office was closed, she was a secretary at Wood River High School. She later returned to college, and received her bachelor’s degree in elementary education at Kearney State College in 1969. She then taught second grade in Wood River from 1960-1979 when she retired. She was united in marriage to William Dubbs April 15, 1960, in Lincoln. They lived on a farm northwest of Wood River until building a home in Wood River in 1977. He passed away April 21, 1984. She enjoyed spending time with her family, especially her grandchildren, sewing, square dancing, crafts, playing cards and games. She was an active member of the First Presbyterian Church where she held different offices in the church and ladies’ groups and the Retired Teachers Association. She received special recognition for being a 75-year member of the Order of Eastern Star in 2011. In addition to both husbands, she was preceded in death by her parents, daughter Darlene Moffett, brother Arthur Quisenberry and wife Fran, sister Ferne Thompson and husband Kirk O, brother-in-law Jabe Hansen and sister-in-law Minnie Quisenberry. She is survived by a daughter, Jeanette (James) Dean of Columbus; a brother, Paul Quisenberry of Wood River and sister, Marian Hansen of Aurora; grandchildren Debra (Brad) Obermiller, Diane (Richard) Spiehs, Dixie (Todd) McCord all of Cairo, Kimberly (Patrick) Hannon of Shelton, Karla Schnacker of Hastings and Kevin Bombeck of Wood River. Great-grandchildren include Kassie (Steve) Hancock; Jason Spiehs; Jeff (Randie) Spiehs; Jessica Jacobsen; Lacey, Dustin and Peyton McCord; Krista (Damien) Cullen; Kelsey (Jonathan) Chittenden; Kara Hannon; Zachary and Kyle Schnacker; and Benjamin and Riley Bombeck. Great-great-grandchildren include Emerson and Jarret Hancock, Barrett Jacobsen, and Reagan and Tynnlee Spiehs. She also is survived by many nieces and nephews. Memorials are recommended to the Wood River Community Foundation, the First Presbyterian Church of Wood River or the donor’s choice. Apfel-Butler-Geddes of Wood River is in charge of arrangements. COLUMBUS '- Marlyn "Hike" Hendrickson, 83, of Columbus died Thursday, Nov. 28, 2013, at St. Francis Medical Center in Grand Island. Funeral services will be 10:30 a.m. Friday at McKown Funeral Home in Columbus. Visitation will be 5-7 p.m. Thursday, and 9:30-10:30 a.m. Friday, all at McKown Funeral Home. ELKHORN -- Hedwig Zona of Elkhorn died Thursday, Nov. 28, 2013, at her home in Elkhorn. Funeral service will be 1:30 p.m. Tuesday at St. Bonaventure Catholic Church, 1565 18th Ave., Columbus. Visitation will be one hour before Mass Tuesday at St. Bonaventure Church. There will be a 1 p.m. Tuesday rosary. Lunch will be served at Wunderlich’s Catering, 304 23rd St.
Hedwig Lillian Zona was born June 1, 1919, in St. Edward, to George and Sophie (Gembica) Zona. She grew up in Boone and Nance counties where she attended school. Hedwig moved to Columbus from the farm in Fullerton in the 1960s with her mother. She was employed at Becton Dickinson. After her retirement she enjoyed sewing, crocheting, gardening, and canning. Due to health issues, Hedwig moved to Elk Ridge Assisted Living in Elkhorn to be closer to family. Hedwig loved spending time with her grand nephews and nieces. She was a member of St. Bonaventure Catholic Church in Columbus. She is survived by brother Leo L. Zona of Elkhorn, nephew Timothy (Karen) Zona of Gretna, great nephew Jason Zona of Gretna, great nephew Dustin (Jennifer) Zona of Omaha, great grandnephew Rhys (Reese) Zona of Omaha, nephew Rodney Zona of Louisburg, Kan., niece Geraldine (Ron) Vetick of Silver Creek, great niece Sarah (Tim) Kerkman of Waverly, great grand nephew Keegan Kerkman of Waverly, great-nephew Adam Vetick of Lincoln and great-nephew Mathew Vetick of Silver Creek. She is preceded in death by her parents George and Sophie Zona, brother Stanley Zona, sister Helen Bialas, infant brother Joe Zona, sister-in-law Helen Ann Zona and grandniece Susann Zona. Remembrances can be sent to www.mckownfuneralhome.com. 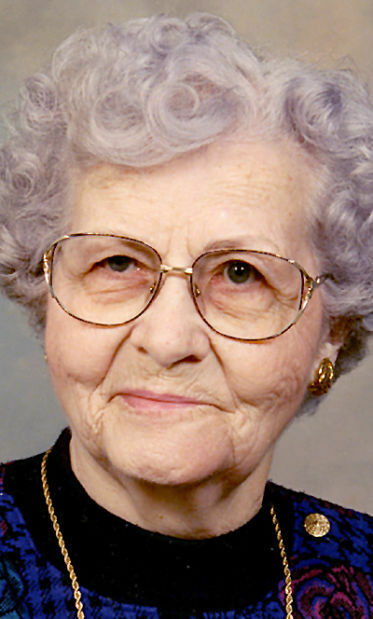 COLUMBUS -- Edna Heft of Columbus died Monday, Nov. 25, 2013, at the Golden LivingCenter in Columbus. Funeral service will be 10:30 a.m. Tuesday at North Park Baptist Church in Columbus with Pastor Lyn Hansen officiating. Graveside service will be 1:30 p.m. Tuesday at Sunset Cemetery in Cedar Rapids. Visitation will be 3-6 p.m. Monday at McKown Funeral Home, and 9:30 a.m. until service time Tuesday at the church. Edna M. Heft was born Dec. 27, 1949, in Petersburg, to James Loren and Charity Amelia (Levos) Neighbors. She grew up in Petersburg and studied voice and piano at St. John's. She graduated from Petersburg high school before going on to college. She worked as a cook for the majority of her life. Edna was married to Ronald Heft on April 2, 1988, at North Park Baptist Church in Columbus. She enjoyed watching movies, music, her Bible and liked to fish. Edna is survived by her husband Ronald Heft of Columbus and her sister Ann Spreeman of Amarillo, Texas. She is preceded in death by her parents; son Chris; and two brothers, William Neighbors and Chris Levos. DUNCAN -- Don T. Slusarski, 67, died Nov. 27, 2013, after a short battle with pancreatic cancer at his home surrounded by his family. Mass of Christian burial will be 10:30 a.m. Monday at St. Stanislaus Catholic Church in Duncan with the Revs. Dave Korth and Tim Podraza officiating. Interment will be in St. Stanislaus Cemetery in Duncan with military honors by Silver Creek American Legion Post #263. Visitation will be 3-6 p.m. today, with a 6 p.m. vigil, and continue from 9:30 a.m. until service time Monday, all at St. Stanislaus Catholic Church. Don Slusarski was born April 23, 1946, in Grand Island, to Ted and Marcella (Micek) Slusarski. He grew up traveling to many work destinations with his parents, finally settling south of Duncan. He graduated from Duncan High School and Norfolk Junior college. After college he enlisted in the Army and served in Vietnam from 1968-1969. He married the love of his life, Katherine Boruch, on Sept. 4, 1971, in Duncan. Don and Kathy enjoyed 42 years of marriage together. The couple lived and farmed south of Duncan. Don worked at D&L and then worked at Husker Coop for 35 years. He worked in many positions and was the manager of the Duncan location before retiring in 2010. Don was a member of St. Stanislaus Church in Duncan. He was a member of the Holy Name Society, served on the finance committee, was president of the parish council, and served as an usher at church. He enjoyed fixing things around the church when needed and especially enjoyed mowing the lawn. He was a member of the NRA and Ducks Unlimited. Don was a member of the American Legion in Silver Creek, most recently serving as their financial officer and was in the honor guard serving at funerals. He was also a member of the Duncan VFW. Don served as a volunteer firefighter in Duncan for 40 years. He helped with Junior Fire Patrol and dressed up as Smokey the Bear to celebrate Fire Prevention Month. Don had a love for the outdoors. He enjoyed working on the farm, hunting with his son and brothers, fishing with all his buddies, gardening, and road trips with his wife and friends. Don’s favorite thing to do was spend time with his grandchildren building toys for them or giving rides on the tractor or 4-wheeler. He is survived by wife Kathy Slusarski of Duncan; daughter Lisa (Slusarski) (Aaron) Windedahl of Columbus; son Jeff (Danita) Slusarski of Lincoln; daughter Annie (Pat) Sokol of Columbus; daughter Jenni (Brian) Strong of Columbus; seven grandchildren Lily and Calan Windedahl, Ava, Hank and Logan Sokol and Grady and Grant Strong; brothers Bob (Bernie) Slusarski, Jim (Diane) Slusarski, Kenny (Cindy) Slusarski all of Duncan, Joe Slusarski of Marshall, Mich.; sister: Karen Eddington of Omaha, Patti (Steve) Mohr of Onalaska, Wis., and Mary (Steve) Abegglen of Duncan; brothers-in-law Joe and Steve Boruch of Duncan; and many aunts, uncles, cousins, nieces and nephews. He was preceded in death by parents Ted and Marcella; sister Jean Wilson; brothers-in-law Leonard (Butch) Zelasney and Jim Eddington; niece: Laura Boruch; parents-In-Law: Henry and Rose Boruch; and sister-in-law Lucy Boruch. ALBION -- Theodore P. Voichoski, 89, of Albion, passed away Thursday, Nov. 28, 2013, at the Wolf Memorial Good Samaritan Center in Albion. Mass of Christian burial will be 10 a.m. Monday at St. Michael’s Catholic Church in Albion, with Fr. Stan Schmit officiating. Interment will follow at St. Michael’s Cemetery in Spalding. Visitation will be 5-7 p.m. today at the church, with a 7 p.m. wake service. Theodore Peter Voichoski, son of Peter and Anna (Gdowski) Voichoski, was born Nov. 27, 1924, on a farm southeast of Elgin. He was baptized at St. Boniface Church in Elgin and later moved with his family to the Cedar Rapids area where he was confirmed at St. Anthony’s Church and attended Boone County District #47. On April 10, 1951, Ted married Maxine Chana at St. John’s Catholic Church in Petersburg. The couple made their home on a farm in the Akron area west of Loretto for 40 years, where Ted farmed and they raised their eight children: David, Mark, Kathleen, Janice, Roger, Yvonne, Gladys and Gary. The couple moved to town in 1990, and Ted entered the Wolf Memorial Good Samaritan Center in February 2012. Ted was a member of St. Anthony’s Church, St. Michael’s Church in Spalding, and most recently St. Michael’s Church in Albion. He was also a member of the Knights of Columbus and a past school board treasurer at Boone County District #39 for many years. Ted is survived by his wife Maxine of Albion; seven children Mark (Diane) Voichoski of Lincoln, Kathleen (John) Hahn of Elm Creek, Janice (J.J.) Carraher of Spalding, Roger (Datrece) Voichoski of Albion, Yvonne (Gene) Frank of Grand Island, Gladys (Gerald) Asche of Spalding, Gary (Jennifer) Voichoski of Riverdale; 16 grandchildren; one great-grandchild; one sister Agatha Iwan of Albion; one sister-in-law Tessie Slusarski of Columbus; along with many nieces, nephews, other relatives and friends. He was preceded in death by his parents; his son David; three brothers John, Andy and Tom; five sisters Sister Agnes, Sister Bertilla, Catherine Konert, Balbina Riebschlager and Helen Bialas. MEADOW GROVE -- Funeral services for Glen W. Leffers, 74, of Meadow Grove, will be 10:30 a.m. Monday, Dec. 2, 2013, at the Immanuel Lutheran Church in Tilden. Pastor David Weaver will officiate, with burial in the Lutheran Cemetery at Meadow Grove. Military honors will be conducted by the Veterans of Foreign Wars Post 7603 and American Legion Post 170, both of Tilden. Visitation will be 3-7 p.m. today at Brockhaus-Harlan Funeral Home in Tilden. Glen died Wednesday, Nov. 27, 2013, at the Community Pride Care Center in Battle Creek. Glen W. Leffers, son of Walter and Erna (Johnson) Leffers, was born March 23, 1939, at Creston. Glen attended St. John’s Parochial School and later graduated from Columbus High School with the class of 1957. Upon completing his education, Glen enlisted in the United States Marine Corps, serving in Okinawa and Borneo, until receiving his honorable discharge. On May 26, 1963, Glen was married to Delores Thomsen at St. John Lutheran Church-Green Garden near Madison. The couple was blessed with four children Debbie, Scott, Connie and Rita. Glen was always a hard worker, and during his lifetime had several careers. After serving his country, Glen worked as a lineman, and after marrying, farmed and also worked at Vulcraft in Norfolk. As center-pivot irrigation became a part of the landscape around Madison County, Glen went to work repairing irrigation systems for Tilden Fertilizer, and also worked as a self-employed electrician. Later, he went to work for the Goodyear Company at their plant in Norfolk where he served as a maintenance supervisor. Glen was a member of St. Matthew Lutheran Church in Meadow Grove. Besides stewardship and service within the church, he also believed in serving the public and the community. Glen served on the Elkhorn Valley Public School Board, the Education Service Unit #8 Board, was a Trustee on the Lutheran High Northeast Advisory Board, and served on the Village of Meadow Grove town board. Glen was a member of the Veterans of Foreign Wars Post #7603 and American Legion Post 170, both of Tilden. Glen loved spending time with his family, and in his free time, enjoyed being in the outdoors, traveling, and shooting sports. Glen is survived by his wife of 50 years, Delores Leffers of Meadow Grove; and children, Debbie Leffers of Kimball, Scott (wife Nancy) Leffers of Green River, Wyo. (their sons, Douglas and James), Connie Leffers of Meadow Grove, and Rita (husband Shane) Landmark of Omaha, (their children, Austin and Willow). He was preceded in death by his parents; and a sister. COLUMBUS -- Willard Wergin, 84, of Columbus, died Thursday, Nov. 28, 2013, at his home in Columbus. The funeral service will be 10:30 a.m. Monday at Immanuel Lutheran Church in Columbus with Rev. Patrick Sparling officiating. Interment will be in Columbus Cemetery. Visitation will be 5-7 p.m. today at Gass Haney Funeral Home, and continue from 9:30 a.m. until service time at the church. There will be a family prayer service at 10:15 a.m. Monday at the church. Memorials may be directed to those of the family choice. Willard Walter Wergin was born Aug. 29, 1929, near Hampton, to Walter and Viola (Joseph) Wergin. He was baptized on Sep. 3, 1929, in Hampton. The family moved to Columbus where Willard attended Immanuel Lutheran School, was confirmed at Immanuel Lutheran Church, and graduated from Kramer High School. On Sept. 17, 1950, Willard was united in marriage to Shirley Sorensen in Loveland, Colo. Willard worked at Behlen Manufacturing as a machinist and later at Industrial Engineering where he retired from. Willard and Shirley were charter members of Peace Lutheran Church in Columbus. After Shirley’s death on Jan. 30, 1989, Willard married Elsie (Knowlton) Edmison on April 14, 1990, at Immanuel Lutheran. Willard enjoyed singing in the church choir, working on cars, bowling and riding his motorcycle. Willard is survived by his wife Elsie Wergin of Columbus, daughter Deborah (Joseph) Krieger of Glencoe, Minn., two grandchildren; four great-grandchildren, stepson Dennis (Vicki) Edmison of Omaha, stepson Gordon (Linda) Edmison of Mayer, Minn., stepdaughter Susan (Tom) Kleber of Wichita, Kan., five step-grandchildren, sister Bernice (Harold) Nansel of Loveland, Colo., sister Margaret (Melvin) Wennekamp of Columbus, sister Ilene (Roy) Knolls of Tucson, Ariz., brother Ken Wergin of Craig, Colo., and sister-in-law Juna Wergin of Greenwood, S.C.
Willard was preceded in death by parents Walter and Viola Wergin, first wife Shirley Wergin and brother Paul Wergin. COLUMBUS -- Vic Ainars, 74, of Columbus died Friday, Nov. 29, 2013, at his home in Columbus. Funeral service will be 10:30 a.m. Wednesday at Trinity Lutheran Church, 2200 25th St., Columbus. The Rev. Doug Zurek will officiate. Interment will be in Roselawn Cemetery. Visitation will be 5-7 p.m. Tuesday at McKown Funeral Home, and continue from 9:30-10:30 a.m. Wednesday at Trinity Lutheran Church. Victor was born July 2, 1939 in Saldus, Latvia, to Victor and Victoria (Jurevics) Ainars. In the early 1950s, he immigrated from Germany with his family to the United States. They settled in Columbus where Vic graduated from Kramer High in 1958. Vic married Mary Wiedel Kubicek on Oct. 12, 1984, in Columbus. He worked at Becton-Dickinson for 42 years. He was a member of Trinity Lutheran Church where he was active in their music programs. Vic enjoyed playing cards, movies, golfing and bowling. Vic is survived by his wife Mary of Columbus; two sons Jason (Melissa) Kubicek of Fremont, Chad (Shelly) Kubicek of Kansas City; six grandchildren, and sister Becky Lippstreu of Columbus. He was preceded in death by his parents and sister Inara "Pixie" Micek. In lieu of flowers memorials are suggested. COLUMBUS -- Dwayne V. Henry, 58, of Columbus, died Friday, Nov. 29, 2013, at his home in Columbus. Memorial service will be 11 a.m. Wednesday at McKown Funeral Home in Columbus with the Rev. Lyn Hansen officiating. Interment will be in Columbus Cemetery. Family will receive friends from 5-7 p.m. Tuesday at McKown Funeral Home.